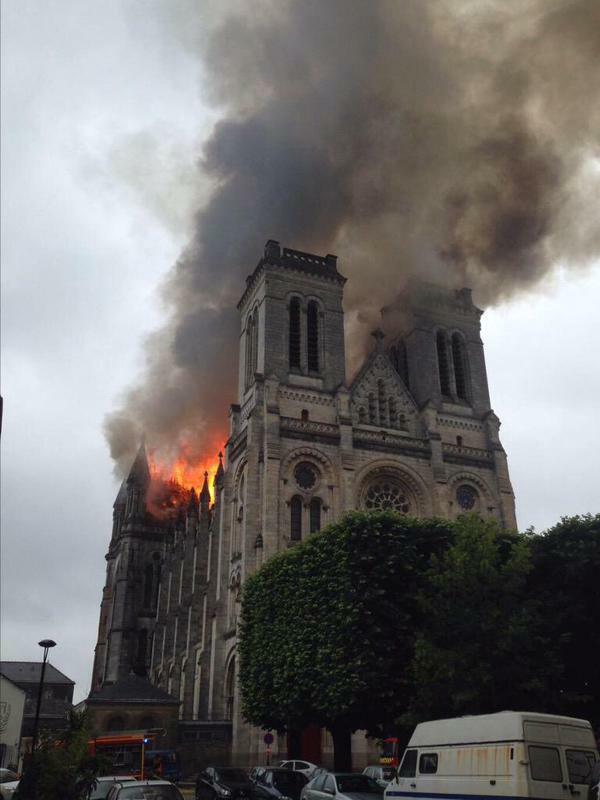 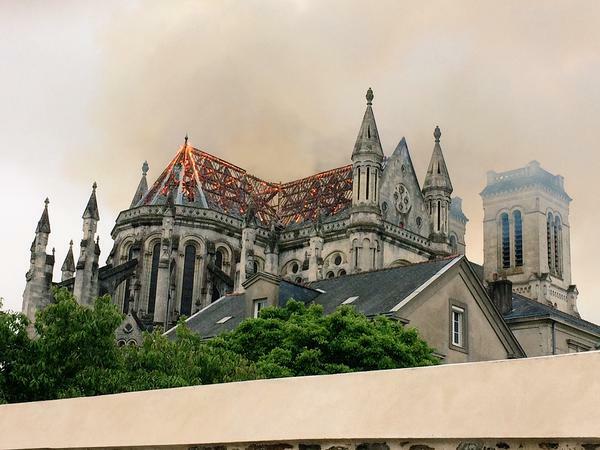 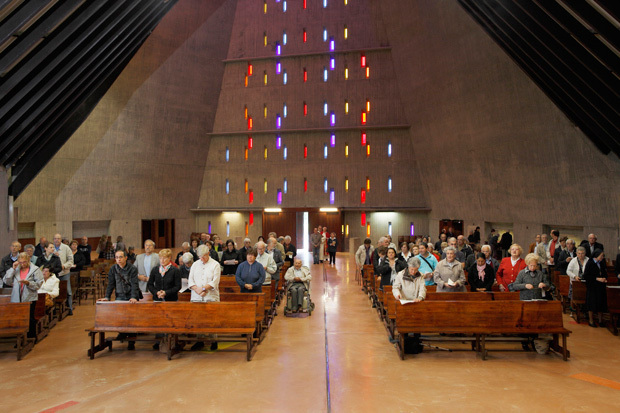 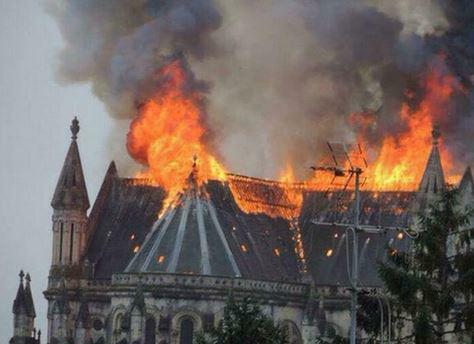 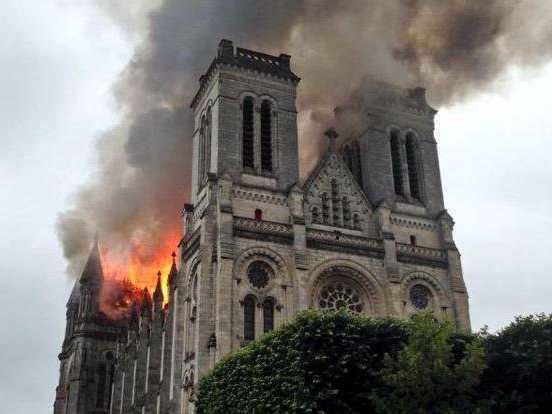 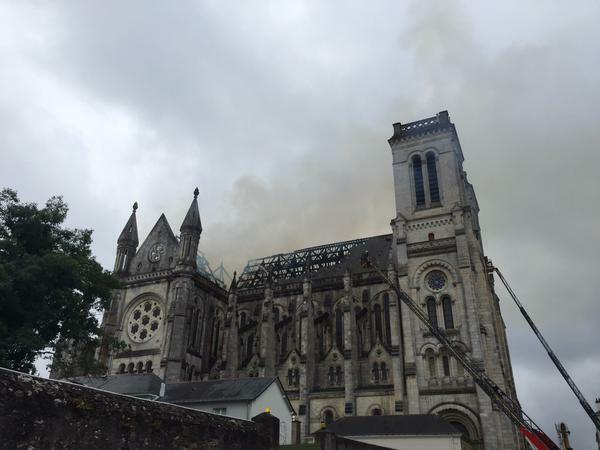 The eruption of a big fire at the end of Monday morning mass, has caused considerable damage in the basilica of Saint Donatien in Nantes. 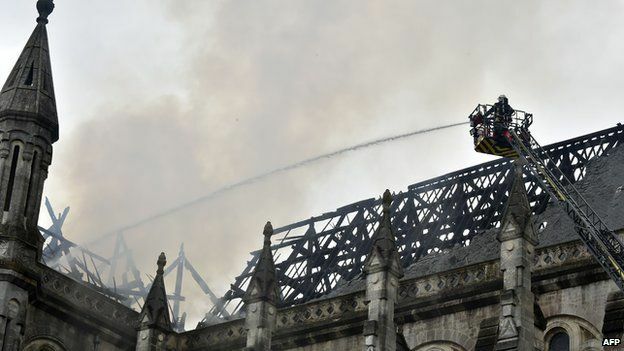 The fire seems to have started on the roof of the building at around 10 am, where waterproofing work had been underway. 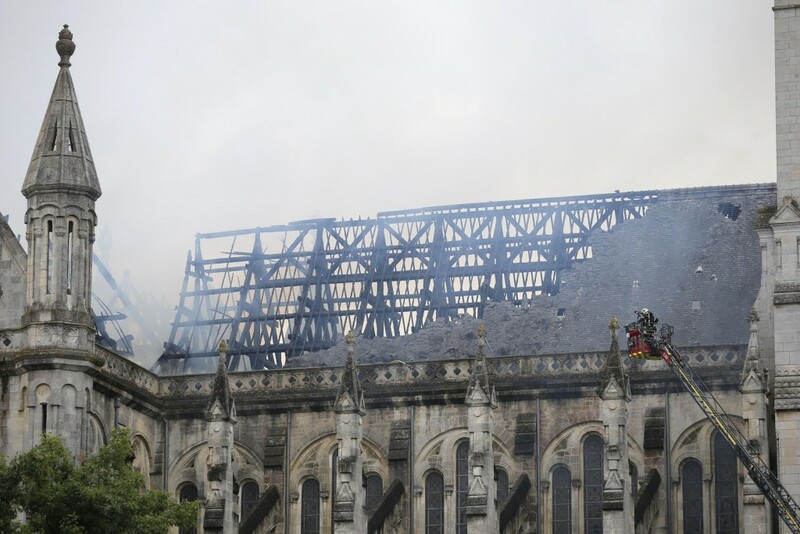 Fortunately, churchgoers, as well as the workers employed on the roof managed to vacate the building in time, thus resulting in no losses. 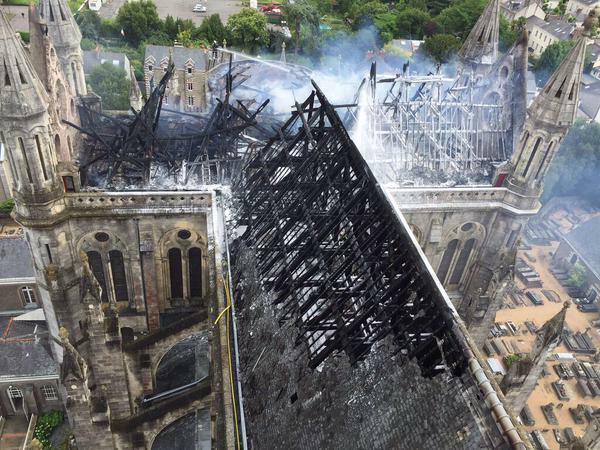 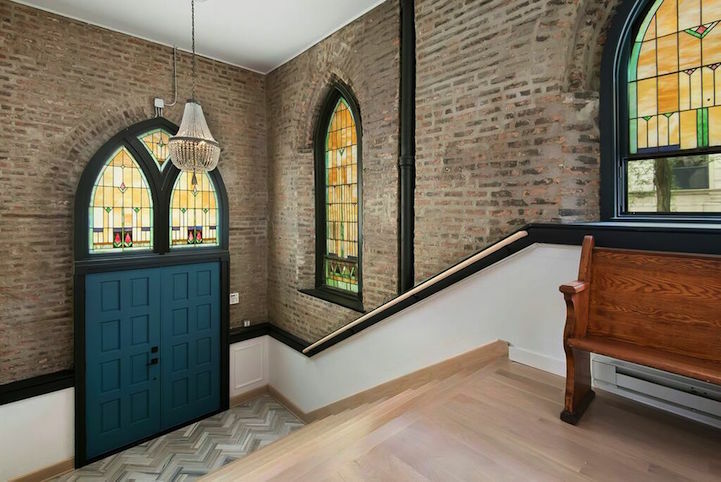 Although now finally under control, the fire still poses a threat to the church’s precious artifacts, such as its organ, while the roof appears to be, on its greater part, destroyed and many of the church’s beams have fallen down. 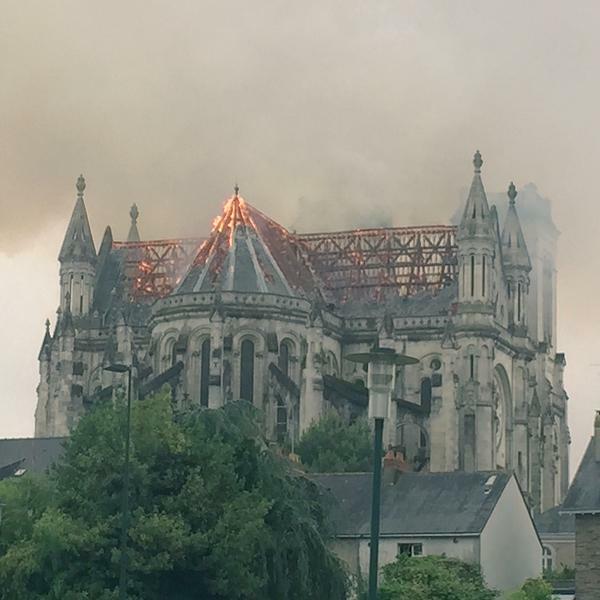 The Mayor of Nantes Johanna Rolland, expressed her distress on the social media and stressed the importance of the 19th century temple for the city’s Catholic Community.